A biting midge (Ceratopogonidae sp.) sits on a blade of grass. Another indivdual can just been seen peeking under the bottom of the grass blade. These flies are around 2mm in length. Females of most Ceratopogonids feed on blood from certain host animals. 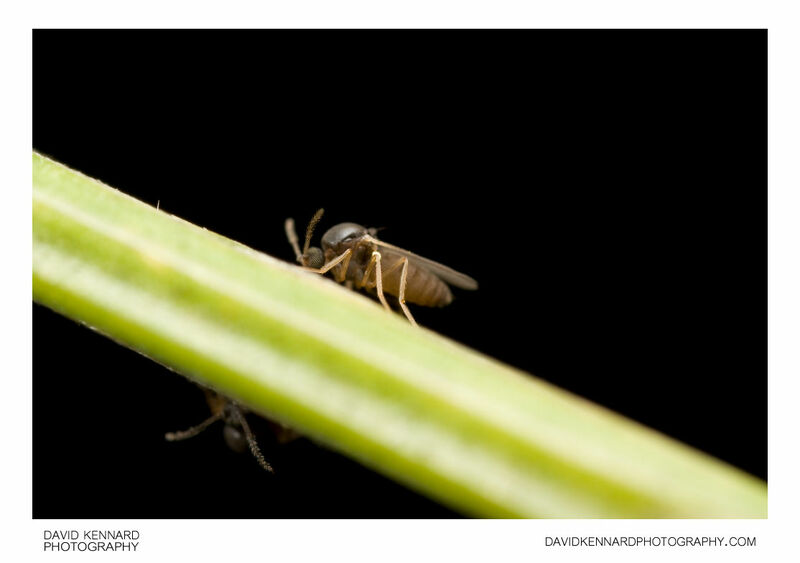 However, despite the common name of 'biting midges', some species are predatory and a few feed only on nectar.